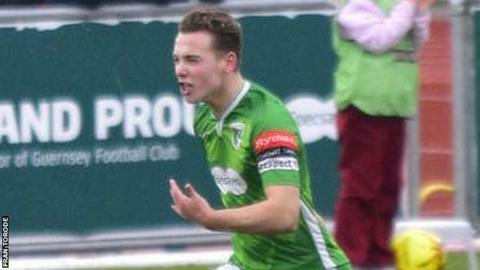 Guernsey FC's poor run in Isthmian League Division One South continued as they went down 2-1 to Whyteleafe. The Green Lions have now won just once in 10 games and are just one place off the relegation spots. Robbie Legg gave Guernsey a 56th minute lead from the penalty spot after Dave Rihoy was fouled in the box. But the lead lasted just five minutes as Sam Clayton slotted home an equaliser before Daniel Ajakaiye's fine finish won the game nine minutes later. Jacob Fallaize almost equalised in the final moments, but his header was cleared off the line. Guernsey have now conceded 18 goals in their last five games, including an 8-1 loss Hythe Town earlier in the week, and scored just four times.